The original Catholic Tour Company in Rome providing authentic accurate tours. Eternal City Tours is a not-for-profit guided tour company that exists to provide Catholic Tours of Rome & Italy, and to fund Catholic Education Scholarships. Eternal City Tours is the only tour company in Rome that is openly Catholic and provides tours of Rome - the Eternal City, from the universal perspective and understanding of the Catholic faith and it's immeasurable affect on society and history. Eternal City Tours believe that to try to explain the history and sights of Rome whilst ignoring or being ignorant of the Catholic perspective is to really miseducate. We love the Catholic Faith. We love the Catholic Church and we love Rome and Italy. After living in Rome for over a decade the two co-founders, Paul & Tom, were sick of hearing so-called "Catholic" tour companies giving anti-Catholic and inaccurate tours to crowds of tourists. If you love the Church and hear professional guides telling a large group of tourists, who dont know any better, nonsense about the Church and about Rome, then you can imagine how much it annoyed us. There was even something sinister about what false information was being spread and we decided that enough was enough. We therefore decided to start an authentic Catholic company that gives factual and accurate information to tourists - to treat them like people will beliefs and experiences, and not just a source of income, and to teach them about the Faith by teaching them about hsitory and what the Catholic Church and the Roman Empire have done for Western Civilisation. We wanted to fight back against the ignorance of the world. For that reason, our Tour Guides are strong Catholics who have degrees in either Philosophy or Theology (or both), but who also have a strong background in Art History, Architecture and Archaeology. Our guides have studied in the major Pontifical Universities and some even teach in them. Others have studied at seminaries or with religious orders and can offer a great depth of understanding to the visible wonders of Rome. in the Luxury Travel Guide annual awards! This prestigious publication is circulated to over 500,000 subscribers and in the next edition there will be an article on why the judging panel eventually decided to award Eternal City Tours this certificate of excellence. Building on the success of 2016, we then went a step better the following year, having been awarded with the accolade of winning the award for the Cultural Tour Operator of the Year for the whole of Italy 2017! In the same year, we also received the coveted Certificate of Excellence from the travel giant, TripAdvisor. We look forward to continuing to grow from strength to strength, made possible only due to our superior level of customer service. Paul Encinias is a Native of Colorado, who left the US as an All American Scholar, Salutatorian, Member of the National Honor Society and National Latin Society. 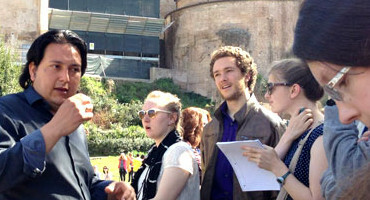 Living in Rome since 2000, he has furthered his studies in archaeology, history, art and philosophy. Paul is one of the founders of Eternal City Tours where as a tour director for over 14 years, he has been celebrated for his lectures on history and art. He has also been the director for Theology On Tap Rome, and a contributor to the lecture series ‘Campus Marsius’. As Student President for the Pontifical University of Saint Thomas Aquinas he co-authored the university’s ‘work-study’ project. Paul has worked as both a Director of Student Life for Thomas More College and as an Adjunct Professor of History for Christendom College’s multidisciplinary Roman Perspectives course which incorporates political science, philosophy and theology into the History of Rome curriculum. Paul remains a graduate student of philosophy pursuing his PhD in the fields of Analytic Thomism, Philosophy of Science and Cliometrics. 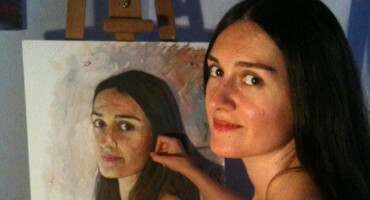 Born in Niksic, Yugoslavia Maria is an internationally exhibited painter. Her works have been displayed in Milan, Paris, London, Belgrade, and now Rome. Maria Graduated with a Fine Arts degree in 1997 from Cetinje-Montenegro, and then continued to study painting from 2004 in Trebinje, Herzegovina. She has followed her studies into the fields of Iconography and Fresco, two mediums which she studied in Thessaloniki, Greece. Her studies in painting on silk at l’Eglise Orthodoxe Serb Saint Sava in Paris-France has led to the creation of her own distinct fashion line which she formed in 2010 called ‘Paulina Design’. With over 20 years experience, her knowledge reaches across a wide spectrum of graphic art disciplines and utilizes older traditions as well as contemporary. Maria currently lives and works in Rome running our Art tours, packages and study abroad programs. 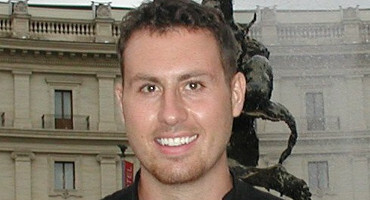 Chad Deffler received his bachelor’s degree in fine arts from Madonna University in Livonia Michigan and was looking forward to furthering his career in fine arts before studying philosophy at Rome’s Pontifical University of Thomas Aquinas where he received his bachelor’s degree in Philosophy and is continuing his graduate studies in Philosophy Education. During his 9 years in Rome he has combined his love for art and philosophy working as a freelance tour guide providing an enriching analysis of Rome’s many treasures. He has work as a consultant and developer for a number of Art History smart phone applications and is at present furthering his studies in Ancient Greek and Latin..